Looking for that special gift for the connoisseur of fine liquor? 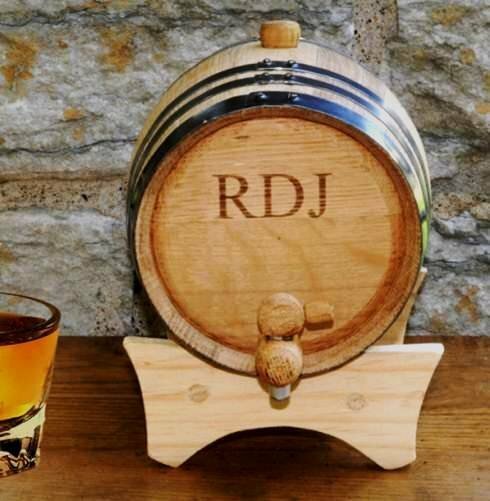 Our handsome Oak Personalized Mini Whiskey Barrel is the perfect gift idea for the gentleman who loves the thought of aging and serving his own favorite spirits. 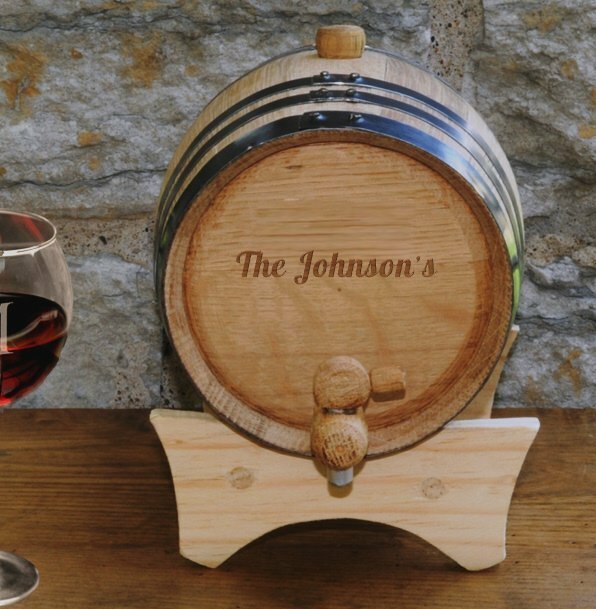 The stunning steel-banded oak two liter barrel comes with its own stand, spigot and bung for convenient serving and filling. 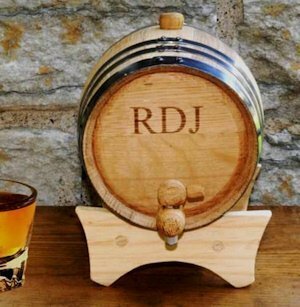 Our stunning barrel measures 7 1/2" x 5" x 5" and includes instructions for curing, cleaning and sanitizing the barrel before and after use. Add the personalization of your choice - either a single initial, three initials or one line of up to 10 characters makes this a gift they will cherish for years to come. Note - This item includes a personalization, color, size or design option: Text Line 1 (e.g., Initials, Monogram or First Name) (max of 10 characters) (Free of charge). You may specify this information during our checkout process.